Compliance management processes ensure that your business and its employees and other stakeholders are complying with a given set of rules. Oftentimes, this process is also referred to as regulatory compliance management. If you are a business owner, you are required to do your due diligence in order to be certain that your organization is compliant with government and industry regulations. The best way to do this is to employ a compliance management system, or CMS for small business IT. Find out the role of compliance management systems and what a CMS needs to function properly below. An organization’s compliance management system is the means by which the business gains understanding of regulatory responsibilities and works to ensure that these requirements are being met. There are three elements of an effective CMS – board and management oversight, compliance program and compliance audit. Knowing what a CMS is the first step to adapting one for your unique business strategy. Board oversight is one of the most important aspects of compliance management. In order to practice effective management oversight, it is required for a business to clearly communicate regulations and expectations for upholding these requirements. To do this, you need to adopt clear regulatory compliance policies. This also includes defining a compliance function and staffing it appropriately, as professionals learn in business acumen training courses. Making sure to create board oversight processes and identify professionals for board oversight management is crucial to effective compliance management. Once you have board oversight practices in place, you need to place equal emphasis on establishing a compliance program for business. In order to do this properly, you must create a formal compliance program both on paper and in action. This compliance program should include specific policies and procedures for regulatory compliance at all levels of business. It should also include plans for training, monitoring and corrective action in the case that a regulation is not complied with at some level. These factors are must for effective regulations compliance. Compliance audit processes are the final third of the compliance management trifecta that will help you avoid ever having to worry about closing a business. Compliance audits must be independent in order to be legitimate. An independent compliance audit will review compliance policies and standards in order to determine if they are being properly implemented and managed. Even when not required by law, a business should employ a third party auditor in order to review compliance standards and ensure they are being upheld by all employees. 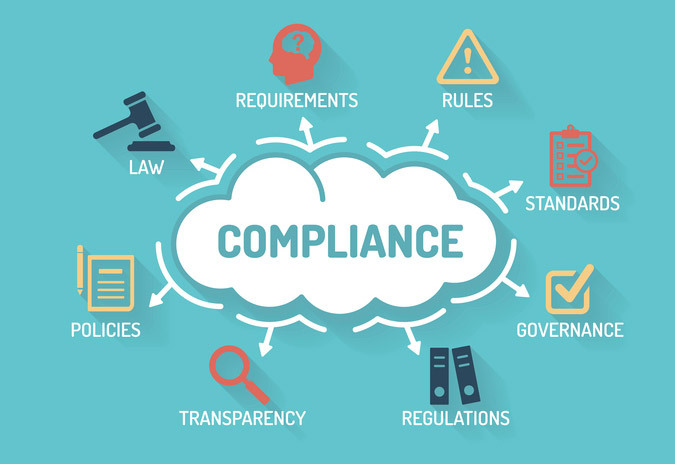 These three areas of compliance management systems are required in order to ensure that your business is compliant with state and federal regulations. All regulatory compliance management systems should place equal emphasis on board oversight processes, compliance program processes and compliance auditing schedules. This is the best way to guarantee regulations compliance at all levels of the business organizational structure.